1. I am aware and familiar with the ordinary and hazardous risk of sports and non-sport activities including the possibility of serious and permanent bodily injury, paralysis and/or death (“Risks”, hereafter) and understand that I am assuming these Risks through participation with any activity associated with or available through Legacy Futsal. I am aware that these Risks may be caused by my own actions or inactions, the actions or inactions of others persons, and/or the condition in which the activities within Legacy Futsal take place. 2. I understand that sports activities may require a certain level of fitness and skill to safely participate. I agree to only engage in activities in which I am physically fit to participate and will participate within my capabilities. I further agree and warrant that I will take appropriate precautions for my own safety and that of others when participating in the activities and further agree that, if at any time I believe conditions to be unsafe, I will discontinue participation. .
3. I understand that any fees paid to Legacy Futsal do not include or require insurance for injuries to players, participants, coaches, managers, or spectators. 4. I hereby release, waive and discharge Legacy Futsal, its owners, officers, administrators, volunteers, members, employees, advertisers, sponsors, agents, lessors of premises, or representatives from all liability to me, my conservators, guardians and other legal representatives, assigns, heirs and next of kin from any and all claims, demands, losses or damages on account of any injury, death or damage to property, arising out of my participation in the activities. 5. I agree to indemnify and hold harmless Legacy Futsal (and all other persons mentioned in paragraph 4) from and against any claim or demand on account of injury or damage, which I may suffer as a result of participation in the activities. I understand that this release, waiver and agreement to indemnify and hold harmless includes, but is not limited to, damages which are caused, or alleged to be caused, in whole or in part by the negligence of Legacy Futsal (and all other persons mentioned in paragraph 4). 6. 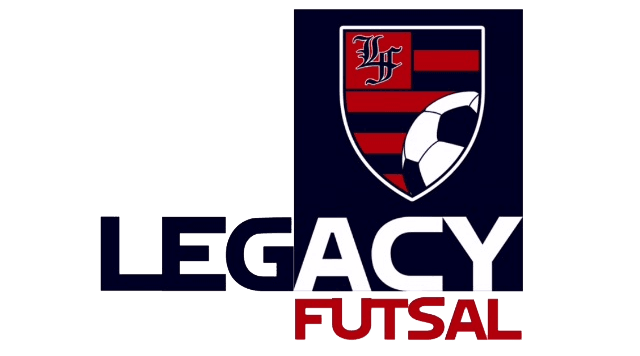 Legacy Futsal may prepare and utilize photographs, video images or audio recordings of players acquired during use of the facilities for security, advertising or promotional purposes. I hereby grant Legacy Futsal a non-exclusive license to use my photograph, likeness, video footage or audio recording on or in association with Legacy Futsal security, promotional and advertising material without any further compensation. 7. If participant is under the age of 18, I am the parent or legal guardian of the participant named below, who is under the age of 18 years, and who wishes to participate in the activity associated with Legacy Futsal. I acknowledge it is my responsibility to deliver my child to the activity and to pick up my child promptly upon the scheduled conclusion of the activity. This agreement includes, but is not limited to, claims or demands on account of injury or damage caused or allegedly caused by the negligence of Legacy Futsal or any of the individuals listed in Paragraph 4 above. I hereby agree to indemnify Legacy Futsal and all other persons described in Paragraph 4 above, and to hold each and all of them harmless from any claim or demand on account of injury to or damage suffered by my child or ward as a result of participation in that activity. I have read this agreement and understand its terms. I understand that I have given up substantial rights by signing it, have signed it freely and without inducement, and intend it to be a COMPLETE AND UNCONDITIONAL RELEASE OF ALL LIABILITY TO THE GREATEST EXTENT ALLOWED BY LAW and agree that if any portion of this agreement is held to be invalid, the balance, notwithstanding, shall continue in full force and effect.